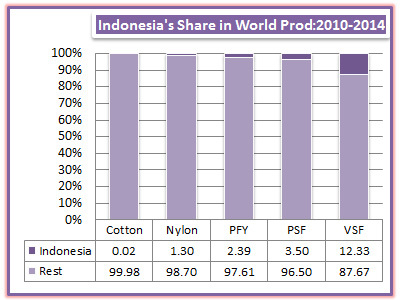 Indonesia is the world's second largest producer and consumer of viscose staple fibre. Indonesia is net exporter of manmade fibres and major importer of cotton. During 2014, manmade production increased 2.1% while consumption expanded 2%. 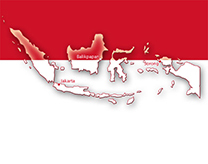 In PFY, Indonesia ranked fourth in production during 2014 and fifth in PSF.